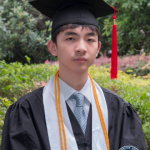 Hi, I am Calvin Ma, a graduate of the SLAS Class of 2016. As I prepare to become a part of the UCLA Class of 2020, I am honored to have been given this opportunity to reflect upon the distinctive experiences and irreplaceable memories that I have attained at SLAS. One of the most remarkable aspects of SLAS is the breadth of the curriculum offered. Throughout my middle school and high school years, I was vigorously and comprehensively equipped with the skills that I would need in order to tackle challenging courses in the future. In 7th grade we learned how to write research papers in APA format; in 8th grade our science teachers inspired us with copious hands-on laboratory experiments involving testing the presence of polysaccharides with iodine, dissecting frogs, turtles, fish, and squids, and using microscopes to observe microscopic organisms, as well as hosting in-depth discussions on topics with global significance, such as on dark matter and irradiation. Then in 10th grade, during the very first week of school, my Pre-AP World History teacher encouraged me to transfer directly into AP World History—something that I did not know that tenth graders could do! My high school English teacher, who I had since 9th grade, extensively refined my writing, reading, and presentational skills, which later proved to be extremely advantageous when testing under timed constraints of the AP examinations. My math teachers also challenged me to go beyond the bare minimum (often with exceptionally difficult quizzes and tests), and my science teachers further promoted my interest in science by providing even more experiments to conduct—from gel electrophoresis to cultivating bacteria and fungi cultures to conducting flame tests on metal ions. Because of these incredible experiences, I was capable of enrolling in a total of 8 AP courses, all of which I passed with 4’s and 5’s. It was certainly an opportunity that I would never have obtained had I studied elsewhere. In addition to outstanding academic programs, SLAS also offered remarkable Fine Arts and Language classes. I performed my first solo violin piece in 6th grade, and then in high school I became the first violinist in our school orchestra. I learned about music composition, and also received the chance to work with bands and perform during graduation ceremonies. In addition to the impressive music programs, the Arts courses had also allowed me to experiment with a variety of artistic mediums and techniques. Through developing photographs in a darkroom, sketching in isometric and conic perspectives, all the way to making comic books and animations, I learned how to channel my creativity to make something new, something different. I also thoroughly enjoyed the Foreign Language classes at SLAS. I took French for a year, then Japanese for three years, and then Spanish for the remainder of my high school career. Even though at times learning the grammar and vocabulary can be quite grueling and exhausting, I will always remember the times when we laughed at silly, accidental mistakes and all those special moments that we had together. 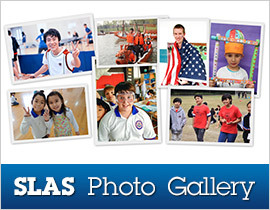 Nevertheless, the most significant aspect of SLAS is the general atmosphere of the school itself. Everyone is very friendly and extremely supportive, especially during the times that I needed assistance. Teachers were always very willing to provide additional help, including afterschool tutoring and Saturday practice AP exams. Furthermore, some teachers also helped with my college application process, and their guidance was imperative to my success. As the school itself is not very large, class sizes were relatively small. I was the only student in my AP Calculus class, and my HS Japanese 3 class only had two students including myself. This allowed for individualized attention from the teachers, and prominently enhanced my ability to master the course materials. Moreover, students at SLAS were always caring and supportive as well. Whether it be House events, concerts, or presentations, the students at SLAS were always ready to encourage their peers and provide the necessary support, which is another crucial reason why this community thrives. Although it is impossible to write down every special memory or moment that I had experienced at SLAS, it is possible for me to say that SLAS had enabled me to reach my educational goals and my personal aspirations. I am very grateful to have been a part of this school, and I wish the very best to every outstanding alumnus and alumna who will graduate from this school and make a lasting impact on our global community. 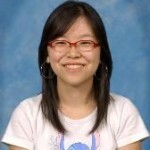 Hi, my name is Jenn and I graduated from Shanghai Livingston American School (LAS) in the spring of 2009. This winter I’ve been accepted to Sung Kyun Kwan University in South Korea. It certainly is an honor for me to have the chance to write about my high school experience. As it is for all Korean students, senior year was full of stress from college preparations for me and I felt like I was walking through an endless tunnel. As college examinations came near, all sorts of fear came upon me. However, my life at LAS was fruitful and the unforgettable experiences and memories helped me finish my exams with a lighter heart. The academic curriculum at LAS was challenging, yet teachers were never too harsh on their students. Hence, I was motivated to do better and to build on my storehouse of knowledge. Reading books on various topics and writing my thoughts on them in Honors English helped me to become a mature thinker and at the same time a better communicator. The flowing amount of assignments and tests in Pre-Calculus was always a load, but I learned that I should face my studies with integrity. The best part of LAS though, was the fact that the school encouraged me to broaden my boundary of learning through various elective courses. I encountered Japanese for the first time and I also developed my Chinese skills. Moreover, 3D Art was one of my favorite subjects because it helped me to relieve the stress from studying. A year ago when I transferred to LAS, I didn’t expect much from a school from which I’d graduate in a year. Nevertheless, the school didn’t “allow” me to spend my last year of high school as a quiet student whose existence is negligible. Teachers cared for me and helped me with whatever I needed help with, let that be academics, relationships, or whatever. I was able to see my own potential at LAS, and most importantly, school was actually fun. As a business school student of Sung Kyun Kwan University, I will use what I’ve learned at my alma mater to continue to push my limits so that my dreams can be fulfilled. I believe I’ve become a person who’s not afraid to dream big and who is focused on working hard to reach my goals. In our ever growing, fast moving, global world, we need our children to keep pace. Here at LAS, we not only nurture the mind, body and spirit; we also equip our students with the necessary tools they need to become leaders in our culturally diverse and changing world. 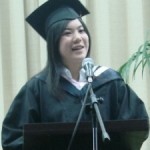 Natalie Cheng the class of 2010, is a prime example of the dedication and hard work that makes LAS an institution for both inner and outer growth. Her successful track record proves that with a great education and guidance, success is attainable. Congratulations to Natalie! You are ready for the World! Received Grade 1 from EIKEN, the highest ranking in the Practical English Proficiency Test in Japan.